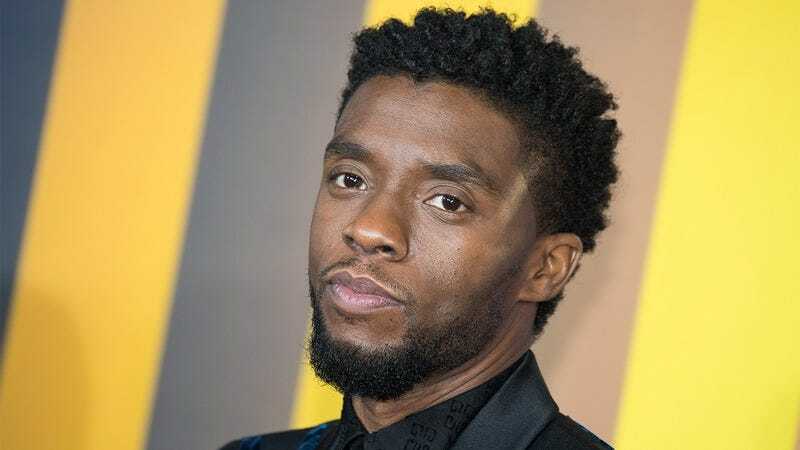 As the star and titular hero of Marevel Studios’ wildly successful ‘Black Panther,’ Chadwick Boseman is officially a bona fide Hollywood superstar. We sat down with the charismatic, versatile actor to ask him a few questions about his life and career. 1. When did you know you wanted to become an actor? When I was 9 years old, my father took me to a parade for Al Pacino’s birthday. I saw thousands dressed up like Pacino and chanting his name in the streets. That’s when I decided to become an actor. 2. Wesley Snipes tried for years to produce and star in a Black Panther movie but was never able to make it happen. Did he ever reach out to you during the whole process of making the film? Oh, absolutely. Wesley was actually on set with us every day while we filmed, which I thought was really cool until I realized he was just there to wait for me to go to the bathroom so he could take my spot and play Black Panther himself. I was definitely annoyed when I first put that together, but I also felt pretty bad for him. I mean, he put months of work into that terrible plan, constantly asking me, “Chadwick, do you have to go to the bathroom now for a half-hour?” or saying, “Chad, you look like you could use a long bathroom break right now in your bathroom at home.” Meanwhile, I could clearly see that he was holding a plastic bag with the shittiest Black Panther suit imaginable in there that he obviously made himself. The whole thing was a real bummer. 3. What is your dream role? I would like to play an even older version of Yoda where he’s doing all the things on his bucket list like going to a circus or buying a watch. 4. Which of your roles has been the most fun for you to portray? Playing Jackie Robinson was a blast, because I had a whole team of people working to make me look good at baseball for free instead of the $50,000-per-month arrangement I have with my neighbor who teaches me baseball at night. My neighbor is not good at baseball, but he has seen Field Of Dreams three times, so he definitely knows way more about baseball than I do, which is why I pay him so much money to teach me baseball at night. 5. What can you say about a potential Black Panther sequel? All I can give away is that it’s going to be called Black Panther 2: The Quest For The Best Testicles, and it picks up right where the first film left off, as Black Panther is about to judge an international testicle contest in Australia to crown the next Testicle World Champ. Of course, things don’t go as planned, with defending testicle champion Willie Nelson trying to sabotage all of his opponents’ testicles using all sorts of devious tricks and glues so he can be the winner. Luckily, Black Panther is on to Willie and fights to ensure a fair testicle championship by killing him with an exploding guitar.